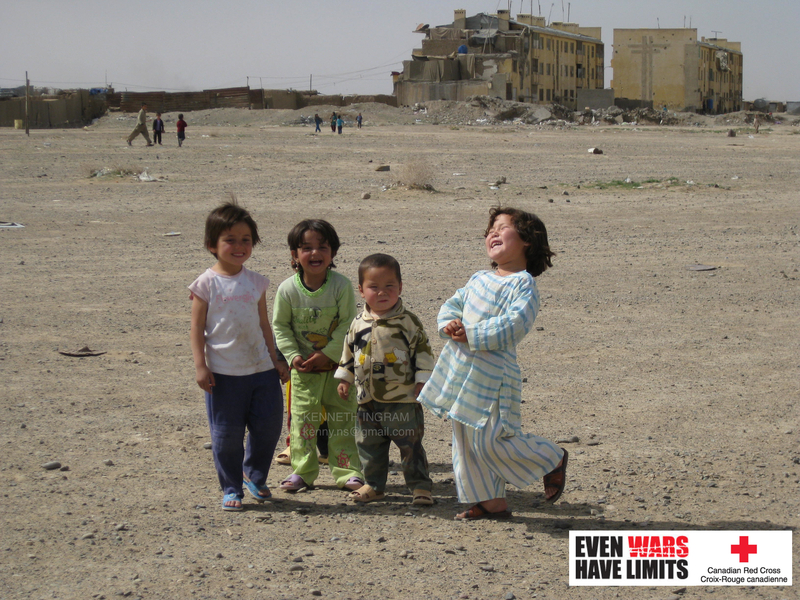 These bashful Afghan children offer a stark juxtaposition to their surrounding environment. Residential buildings (shown in the background) are dilapidated due to ongoing conflict and extreme poverty. According to the translator who was assigned to me that day, most people in this community have lost at least one family member due to war in the past three decades. The images I was able to capture in Kandahar, Afghanistan, were under extraordinary circumstances. I received verbal consent to take photos from the elder of the Afghan village – possible through an interpreter who was assigned to me, for many of the children shown have lost their fathers due to extreme poverty and violence. Only men and children were present while the humanitarian aid mission was conducted. No mothers were accessible that day and we respected local traditions & customs. The food and related supplies were provided to this particular village by members of the Afghan National Army because a disproportionate number of the women are widows. Their husbands have been killed, severely injured or remain missing while serving with the Afghan forces, including the Afghan National Army, Afghan Police, or affiliated security force. Conflict has resulted in many children who will never know their fathers. The sense of loss has become characteristic of this village – and others throughout Afghanistan – whereby families are disrupted, severely strained, and dependent on others to meet their basic needs. Read more about this photo exhibit by clicking here. About one hundred Afghan men and children were present to receive cooking supplies, flour and blankets. The items were quite heavy. 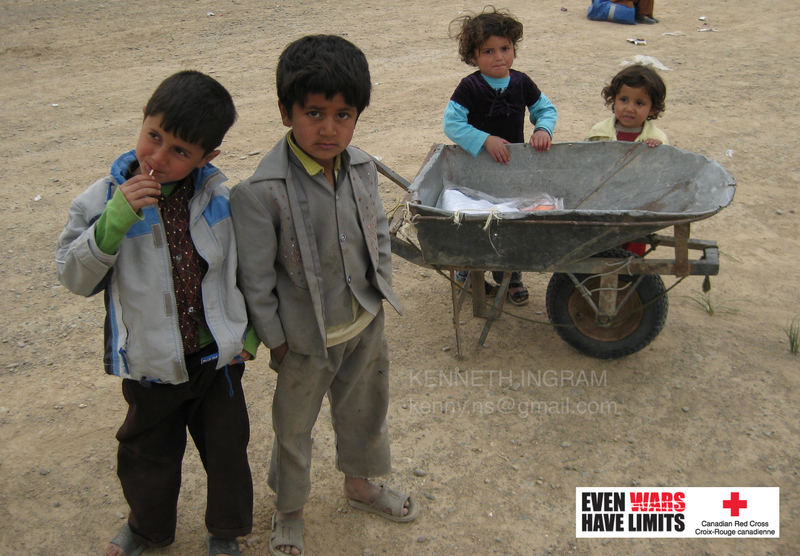 In this photo, children are guarding one of the few wheelbarrows that were available while an elder waited in a supply line that was demarcated by barbed wire.